On a personalised and private experience, discover the real Los Angeles with a Local Host, exploring the city on an itinerary totally customised to your interests, needs and wishes! Whether you want to get off the beaten path and discover some quirky local neighbourhoods or tick the famous sights and landmarks off your bucket list, your Local Host will introduce you to the very best of their city. Discover the best places to see, eat, drink and explore, loved by locals for a totally authentic touch. You'll experience Los Angeles just as if you were visiting an old friend who lived there, so ditch the guidebook and live like a local for the day! Join a like-minded Local Host to explore a neighbourhood in Los Angeles, discovering hidden local gems as well as the city highlights, through a local lens of course! 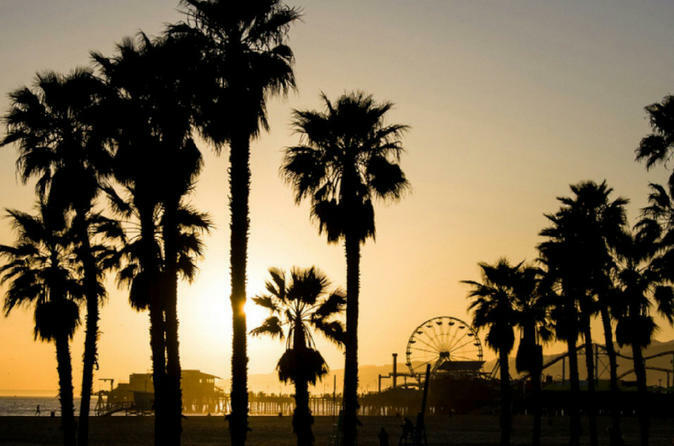 Explore the most iconic sights in Los Angeles like Venice Beach and the Hollywood Stars. Your Local Host will also be able to show you some of the city's hidden gems and local favourites too. Stop to refuel at one of your Local Host’s favourite eateries, cafes or street food markets; a handpicked place that suits your preferences, budget, and dietary requirements. As well as visiting the places you most want to see, stop by local spots and places of interest along the way to get an authentic insight into local life in Los Angeles. Your Local Host will also advise you on the best way to spend the following days of your trip, allowing you to discover other areas of Los Angeles that you will love and revealing other hidden gems that they know you’ll love.